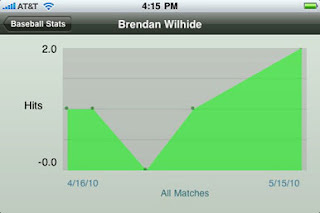 Home Applications GameTrac -app for your iPhone! GameTrac -app for your iPhone! KB Productions has released new app for iPhone called GameTrac. The app allows users to track statistics from eight different kinds of sports as football, baseball, golf, soccer, tennis, running and so on. Eight different sports include four major sports. Besides it is available to track the results for card game like Heart or gym workouts. The app's big advantage is it's simpleness. For example If you want to track your gym workouts or your child's results in spot, GameTrac will handle the task without any flaw. You can also add new sports and insert additional categories and customize them. Note that, GameTrac tracks variety of statistics in easy way but it has the lack of customization when it comes to displaying that same data. Briefly the app is perfect for casual users but for advanced ones the flaws will be unavoidable.